We are excited to inform you that Euromed S.A. will be represented at the Vitafoods 2018 in Geneva, May 15-17, with our own stand (C59) for the first time. We are looking forward to meeting you there and welcoming you at our stand. Our experts are pleased to inform you about Euromed, our products, our services as well as our product novelties. On Tuesday 15 May at 15:40 – 16:10 our Scientific Marketing Manager, Mr. Andrea Zangara, will give a 30 minute presentation, titled “Extracting health secrets of powerful Mediterranean fruits: Pomegranate, Olive & Fig (Pomanox™, Mediteanox™ and ABAlife™)” in the New Ingredients Zone Theatre located at the very front of the show. 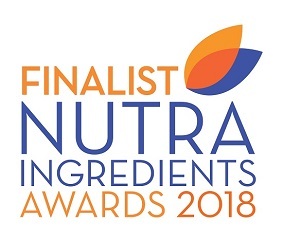 We are proud to announce that Pomanox™ has been nominated as finalist in this year’s NutraIngredients Awards for the Ingredient of the Year in the category “Healthy Ageing”.